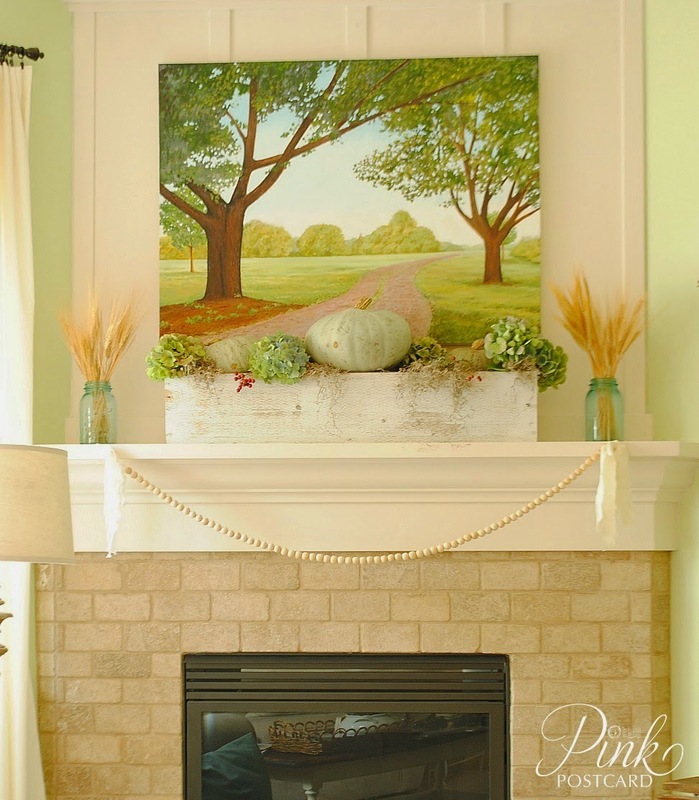 I don't think we've ever had a triple feature at the party before, but this week I simply couldn't resist ... Denise from Pink Postcard decided to go a little nontraditional and decorate her fall mantel in shades of green and aqua. I think the result is so fresh and pretty! 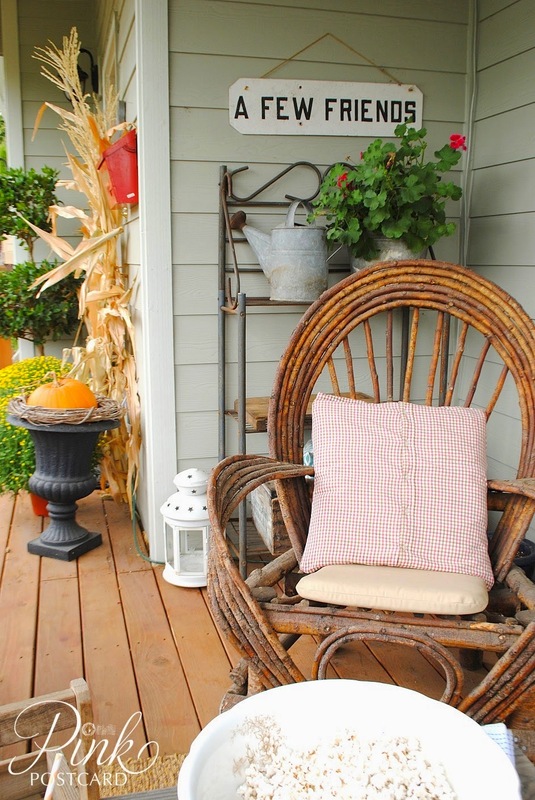 And if you need a little orange, just head out to Denise's rustic fall porch and enjoy the view! 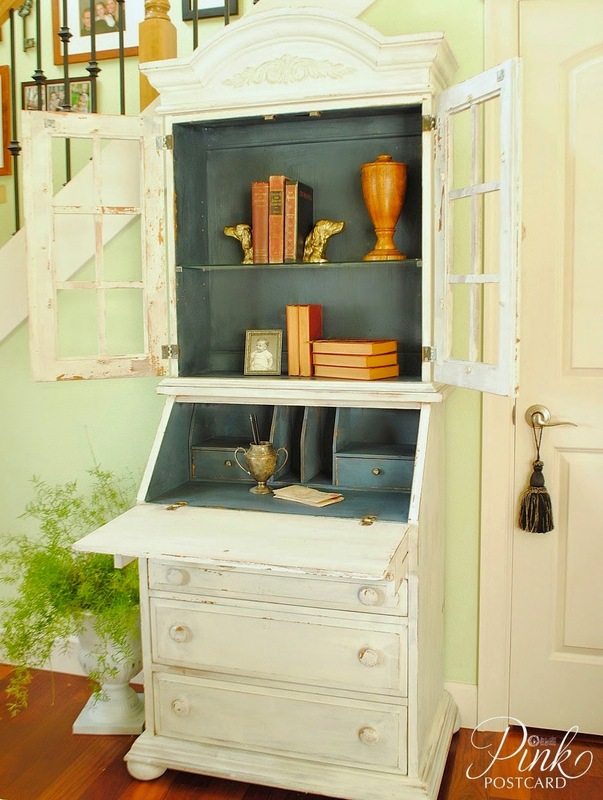 And finally, Denise shared this secretary desk and it is simply gorgeous! 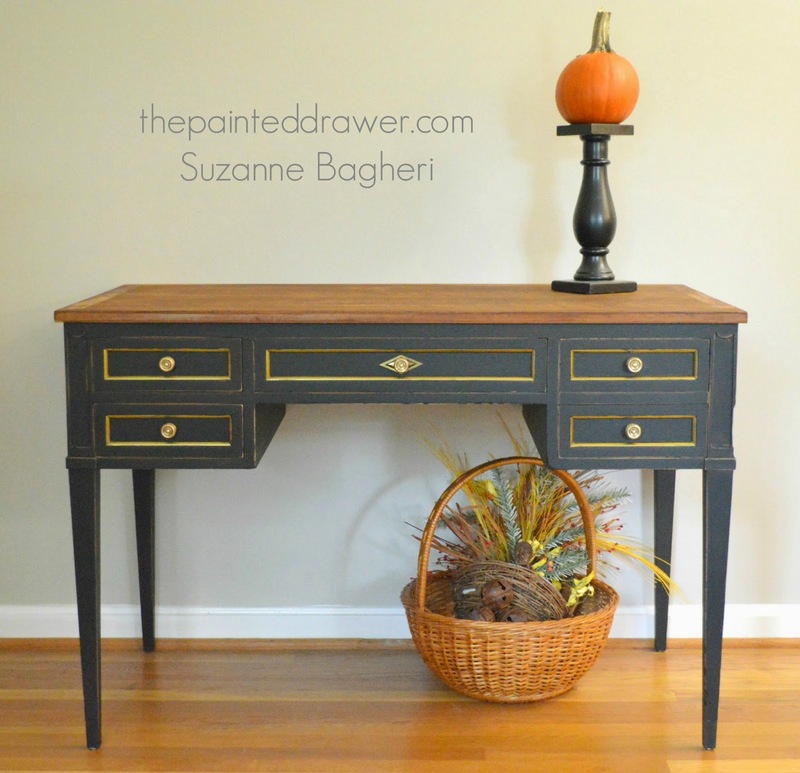 Suzanne from The Painted Drawer shared this sophisticated desk in a combination of black and gold! 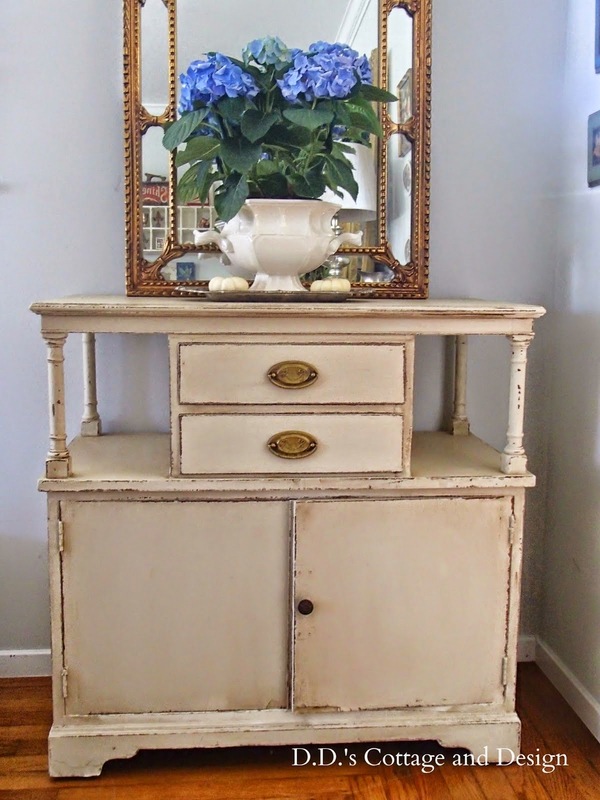 When you see the before photo, you can really appreciate the work that Darrielle from D.D. 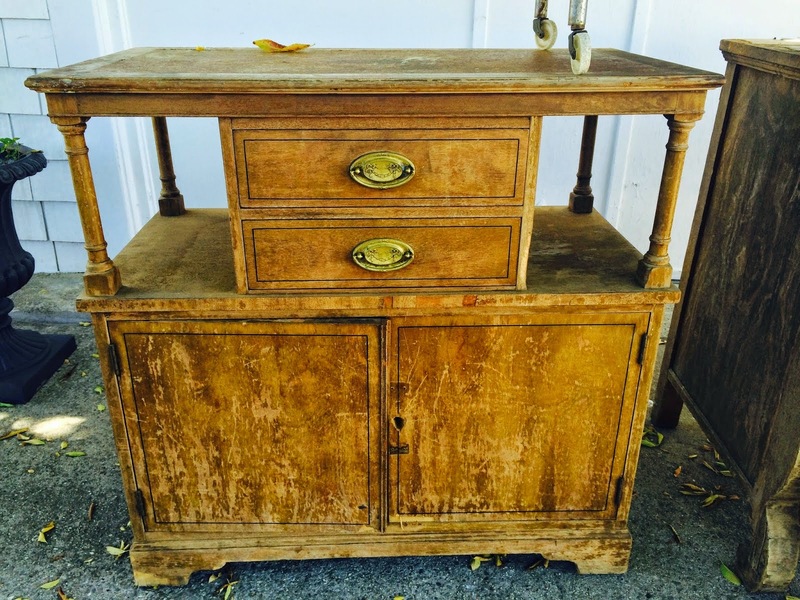 's Cottage and Design put into this rolling cart transformation! 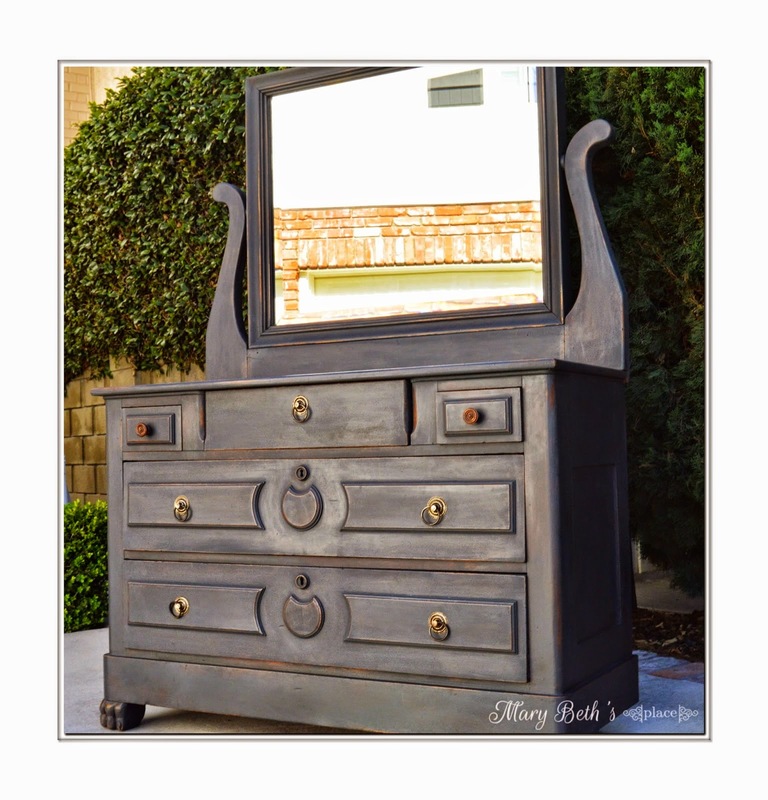 I love the details on this antique dresser from Mary Beth's Place! 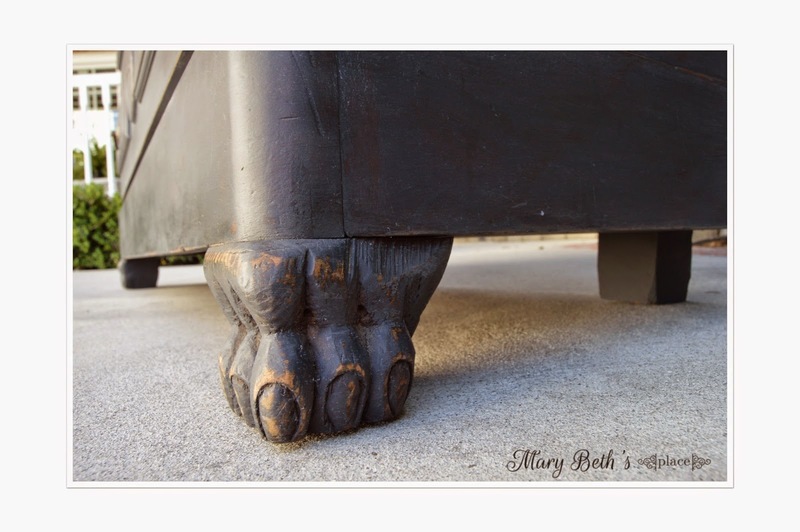 Be sure to notice the "feet". 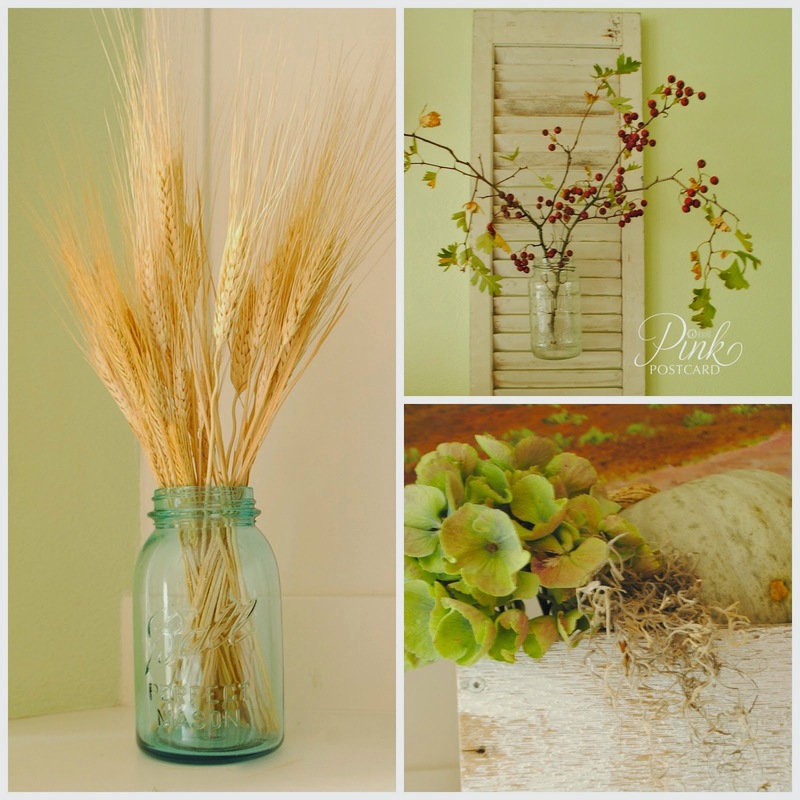 I love the warmth that copper brings to this rustic fall centerpiece from Julie at Little Farmstead! 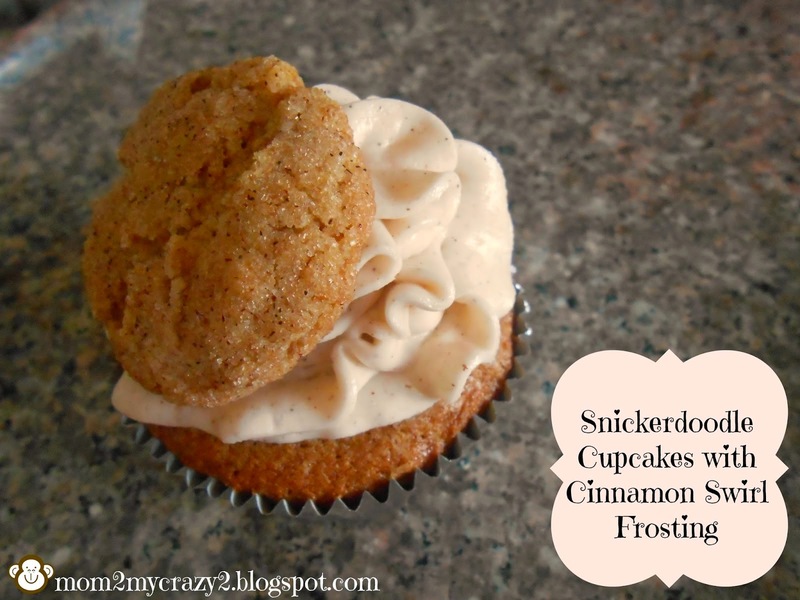 If you love cinnamon as much as I do, you'll want to try these Snickerdoodle Cupcakes with Cinnamon Swirl Frosting from Alexis at Running Away? I'll Help You Pack! 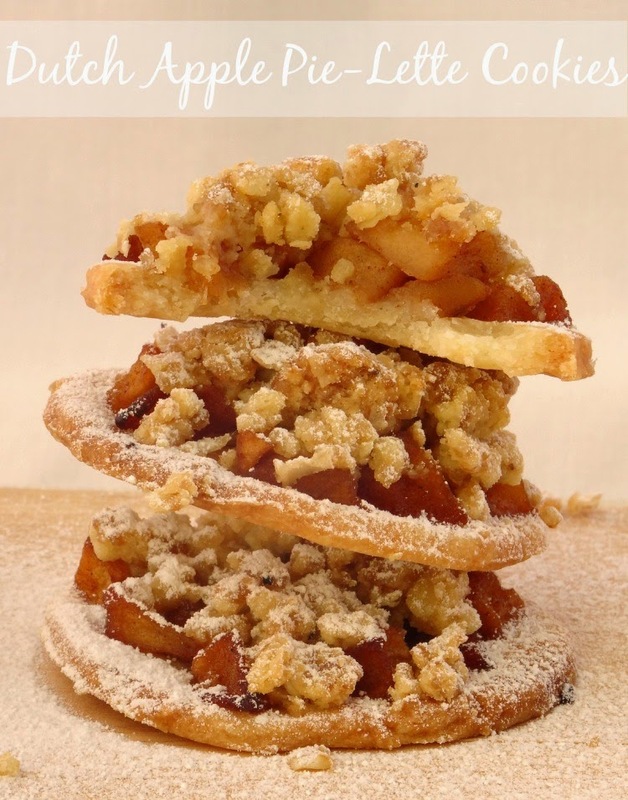 And don't put the cinnamon away just yet, you'll need it for these yummy Dutch Apple Pie - Lette Cookies from Nicola at Pink Recipe Box! 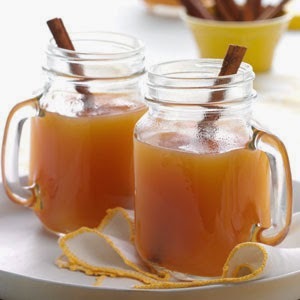 Annies Home shared the perfect fall beverage - apple cider of course. And as you might have guessed, you'll need cinnamon! Thanks for the party!! Love the green!! You always have the best features. 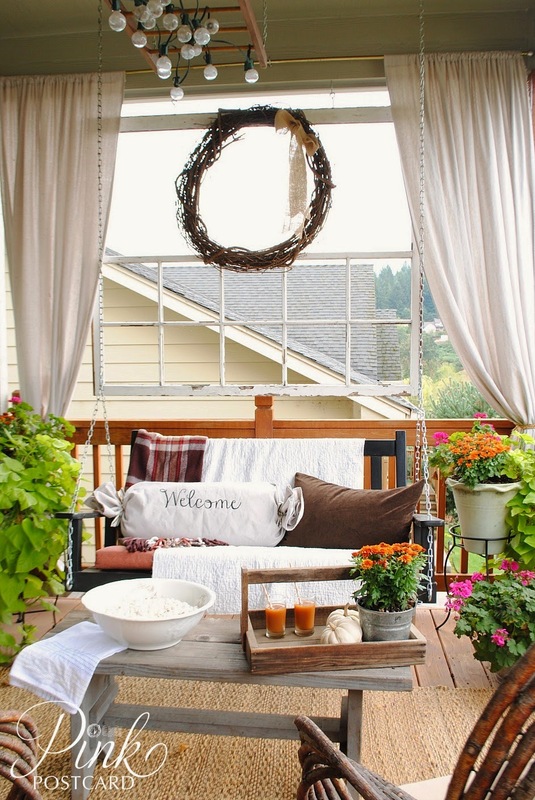 Love seeing all the amazing Fall inspirations. Thanks so much for hosting another great party! Thanks for the party Sharon and the feature of my rolling cart. Such wonderful featured inspiration today. Thank you for hosting your party, Sharon. I hope you're having a good week! Thanks for hosting hun, have a great week. Sharon love your selection my favorite is DD's rolling cart. Thanks for hosting a wonderful get together. Enjoyed a closer look at the features. Thanks for hosting your Link Party no. 137. Always a pleasure to join in. Yay Sharon, I finally have a post I can link up. One that actually shows someone how to do something :) hope you're having a wonderful day! Lovely features, Sharon. Thanks so much for hosting and have a wonderful week. Thanks so much for hosting. Love all the great features. Best wishes for a week filled with extraordinary creativity! Beautiful and yummy features Sharon! Thanks for hosting and have a fabulous week. Great party and thanks so much for featuring my desk! triple feature? I don't blame you, Denise really outdid herself. Thank you so much for the feature! They are all fabulous. I just love Darrielle's chair - so beautiful. Cheers!